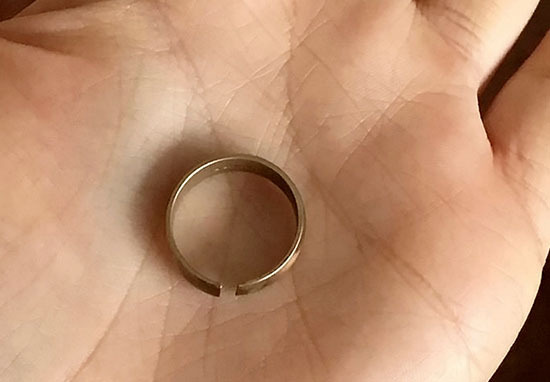 A woman was shocked to find out the Argos wedding ring she’d been wearing was actually made of brass, rather than the 18ct gold it was sold as. 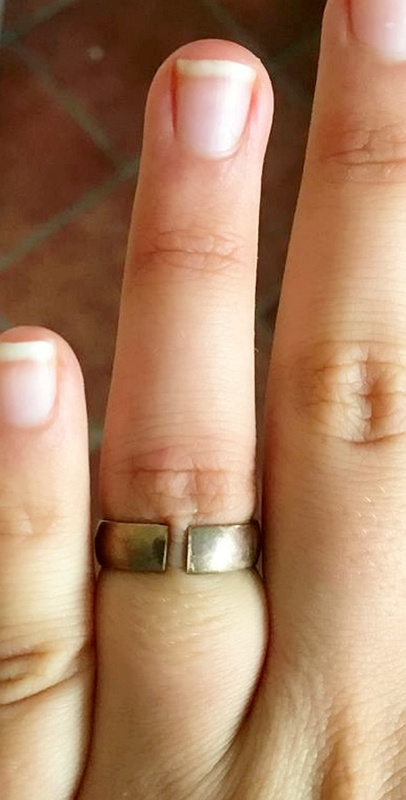 The 55-year-old, who asked not to be named, has been wearing the ring since she got married to her husband in 2004. However, after taking the ring for a re-sizing in June this year, the band snapped in the process, baffling the jeweller, who then decided to investigate. The item has been tested and in my opinion the metal is no better than 9ct yellow gold. It has been incorrectly stamped or the marks are false. The woman was understandably shocked at the discovery, especially after wearing the ring for so long. I really feel this is Argos selling fool’s gold, because that’s how I feel: a bit of a fool. When they said the ring was brass I laughed – I thought they must have made a mistake. People might say ‘it’s a cheap ring, what do you expect?’ but I expect it to be what it says it is. It’s a reputable company. No matter how much you pay or where you bought it from, if it’s got a UK hallmark you expect it to be what it said. The husband and wife have been back and forth with Argos, tracing credit card records to prove the purchase of the £99 ring, gaining a written apology and offer of a refund. But they say it’s not enough, and suspect others could be unwittingly wearing false rings too. In 2001 Argos issued a product recall after fears gold hallmarks had been illegally faked. This is not the first time – for it to happen again is really concerning. They don’t appear to be making any effort. I think they should really think about recalling the batch of jewellery. She said the 5mm band was ‘more than just a ring’ and the offer of simply refunding the £99 was ‘taking the Mick’. My ring is worthless, beyond repair and not wearable. It’s fool’s gold, it’s just a lie. It feels like I am missing a part of me – it’s about the blessing of the ring and the significance. That ring would have been left to my daughter. The pair believe buying the same ring in today’s market would cost hundreds of pounds, and a ceremony to have new rings blessed will be extra. I’m very disappointed with the response. Something on this level should be taken more seriously – it’s a crime to put a stamp on the wrong quality of gold or silver.